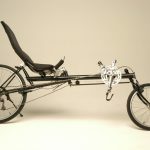 Turner Recumbents has been manufacturing quality Short Wheel Based (SWB) recumbent bicycles since 1982. 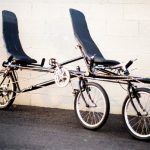 Beginning with the Hypercycle, Milton Turner, along with Julian Smith, began to produce an easy to maneuver, sporty, fast, and comfortable SWB recumbent bicycle. 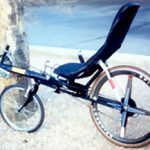 Later, as Milton went on to form his own company, he could play a significant role in helping to establish the recumbent bike trend in America. 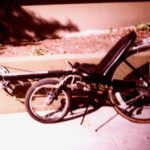 With over twenty-one years of recumbent building experience, Milt has had the chance to work closely with cyclists to observe what works best in recumbent designs. This experience has led him to the use of composites for compound, adjustable, curved seats with lumbar support. 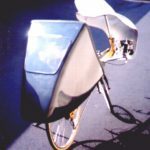 It also led to a new straight frame design which makes the frame stiffer and transmits the power of the legs straight out to the pedals with very little loss in energy. The result is a family of bicycles that provide the maximum in comfort and yet retain their high-performance qualities.